Care to ensure your garden, your allotment and your exterior areas look the part. 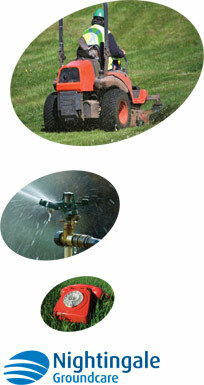 Weed prevention and removal: We only use the best products to provide this much-needed service. Whether it's a supermarket pathway or a commercial entrance, we're able to offer our complete weed prevention methods for you. Maintenance programmes: To ensure you have a regular service that you can trust, our team at Nightingale Ground Care will create the perfect programme for your annual needs. Tree surgery: Our team can help to remove those pesky trees, cut them down and trim your hedges. The result will be a pristine and clean finish. Find out more about our grounds maintenance in Newbury by getting in contact with us.